During the second half of the 20th century the US judicial system – redefined by the emergence of torts and class actions – began to exhibit a greater tendency to favour the rights of the consumer. The number of lawsuits dramatically increased, as did the size of awards. The expanded concept of liability and the long-tail nature of casualty insurance meant that insurers were hit with claims in the 1980s they had not anticipated or priced for when the policies were underwritten in the 1960s and 1970s. The largest losses were for environmental, pollution and health hazards, with asbestos-related claims being the largest single cause. 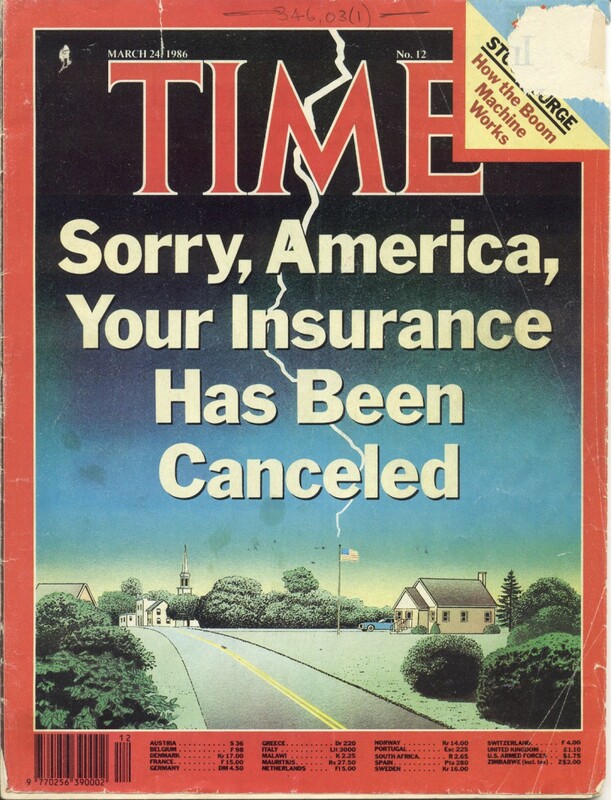 The liability insurance crisis came to a head in the 1980s, resulting in the insolvency of a number of insurers while others withdrew cover or stopped writing casualty lines altogether. The dramatic reduction in the availability of casualty insurance and skyrocketing of insurance prices that followed had serious consequences for US businesses and consumers. The cost of liability insurance and the difficulty obtaining it became a significant political issue, with lawmakers lining up either on the side of the consumer or on the side of corporate interests. It eventually led to a broad wave of tort reform, as many states enacted legislation limiting jury awards. This helped relieve the pressure but a shortage in insurance capacity was to remain for some time.